This is a scanning electron micrograph (SEM) of an in vitro Giardia lamblia culture, which had been cultivated in bile-free TYI-S-33 medium for 48 hrs, then incubated 24 hrs with 10 mg/ml bovine bile in order to stimulate cyst formation. This photograph contains both trophozoites, and a cluster of maturing cysts (bottom right). 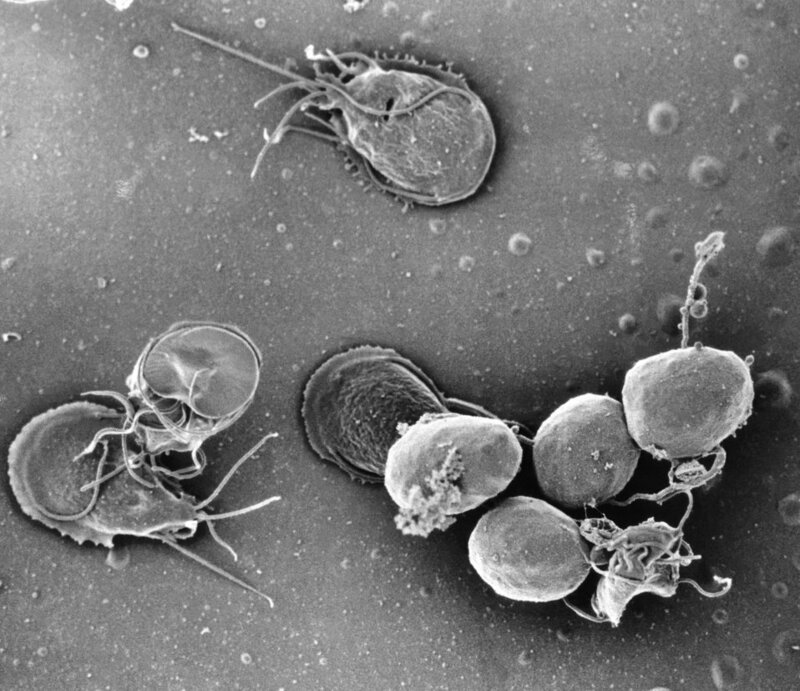 At far left, the two trophozoite-staged organisms are positionally situated opposite to one another, with the farthest left G. lamblia displaying its dorsal, or upper surface, and the protozoan to its immediate right, its ventral, or bottom surface.